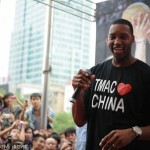 I'm not sure how, but Tracy McGrady has a way of attracting refereeing debacles. 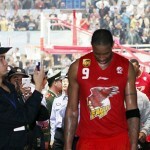 (As a Beijing fan, I'm not just talking about Wednesday night's avian contest between the Ducks and Double Star Eagles in Qingdao, though that was massively craptacular too, with the home team benefitting from so many calls that I wondered aloud whether the CBA was publicly making amends with T-Mac for suspending him.) The worst -- absolute no doubt worst bar none -- happened yesterday. 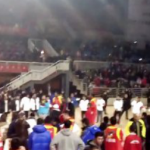 Late in the game on Wednesday in Ningbo, Bayi was clinging to a three-point lead and had the ball against Qingdao in a hard-fought, physical game in which the teams combined to take 81 free throws (43 for Bayi, 38 for Qingdao). Then, in the final minute, the refs botched a call so horribly that no one who was watching could have avoided the obvious question: "Is the fix on?" 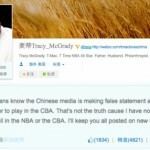 Tracy McGrady’s first season in the CBA has been pretty rough, but has it really come to this, T-Mac? 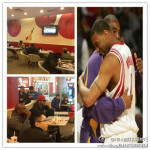 Watching the Lakers play from an airport McDonald’s? 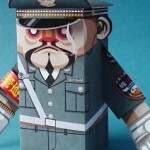 The above comes from Sina Weibo via Adam Minter, and it’s sadly funny on many levels. 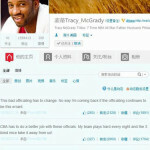 Perhaps it's safe to say the excitement surrounding Tracy McGrady's arrival to Qingdao and the CBA's Double Star Eagles has worn off. 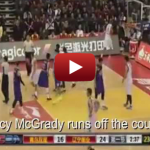 In his debut, T-Mac got stripped clean with 10 seconds to go in a tie game, then watched Sundiata Gaines drill a buzzer-beater on the other end. 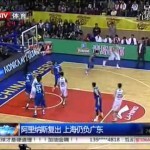 Less than a week later, his team entered the fourth quarter with an 11-point lead against Bayi, only to lose it and then watch China's resident old-timer, Wang Zhizhi, hit a game-winning five-footer (controversy notwithstanding, as the game clock started late and probably gave Wang the extra half-second he needed to get the shot off). 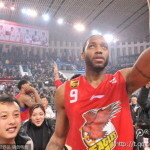 As you know, former NBA superstar Tracy McGrady is in China and will be playing with the CBA's Qingdao Double Star Eagles this year. He's kind of a big deal. 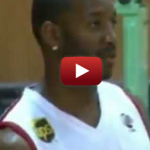 While this clip from practice (and the ones after the jump) probably won't tell you everything -- for instance, whether he'll stay healthy, which was a problem for him Stateside -- it's still fun to watch. 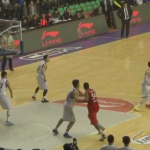 After all, it's just him tooling on his teammates and dunking. Yeah, he'll be the offense. 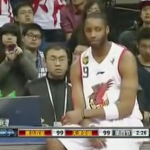 Shaq vs. Tracy McGrady: Who Has The Better Chinese Beer Commercial? 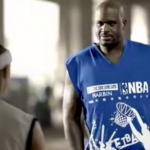 Shaq is a spokesman for Harbin Beer while Tracy McGrady shills for Sedrin. Who's better in their respective ads, shown back-to-back in the above? I think I've had Sedrin before, but it obviously was not very memorable. Also, the name reminds me of sleep medicine. 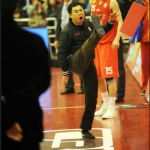 Harbin, meanwhile, is absolutely non-notable in every way. I'd call it "insipid," but that's much too fancy a description for such a bland, bland thing.